This book introduces the super engineering projects in China for the recent years in the most fluent and effortless style. In this book, we can not only see the key breakthroughs and recent updates on speed railways and nuclear power stations, but also the expert interpretation from professionals. It explains profund knowledge in simple language and boasts of great readability. Over the 40 years of reform and opening up, China has seen tremendous changes in social lives and realized the transition from a rural country to the urban one, and from an agricultural society to the industrial and commercial society. 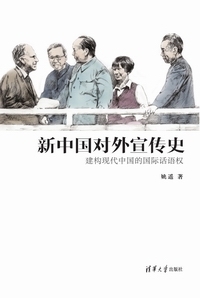 The book depicts these changes from two perspectives: one is to analyze several key aspects of social changes at the macro level; the other is to explore hotpot issues during this period. The book attempts to present a panorama of the transition of China’s society over the past 40 years, analyze the reasons behind and look to the future. It analyzes the new problems and situation after the Fukushima nuclear accident and its influence on China and the world's nuclear development, and draws an estimation of world nuclear power development tendency. It also gives a strategic evaluation of the safety, necessity, supporting capacity and construction of nuclear safety assurance system of China's nuclear development, puts forward guidelines for nuclear development, and provides safeguard measures suggestions for the near, medium and long term development goal of China's nuclear power. This is a comic book written by an 8-year old girl from Singapore.The author is a native English speaker. The stories are fairy tales with a boundless imagination, as well as the naughty stories in the real world. It shows a colorful world of children. Taking the development and evolution of international publicity of People's Republic of China as a research object, the author integrates current research works and materials, reviews the overall venation of China's foreign strategy on the background of China's integration with the world, and inspects the variation trend and causes of China's international publicity. He gives advice and provides new idea for future development of China's international publicity, and reference for improving China’s soft power and constructing international discourse of China. This is a classic fairy tale. 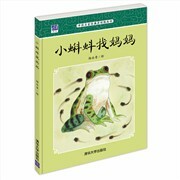 It narrates the tadpoles’ mom-searching journey.Finally, they find their mother and they also grow up from tadpoles to frogs. Mr. Yang uses realistic style of writing to precisely present this scientific fairy tale.